I originally was not going to count these in my "Book Goal" list, but since they are books, and I did finish them this year, I decided to include them. And also, I am just cutting it WAY too close for comfort, my friends. I started this Bible study over a year and a half ago, but restarted and finished it up this past spring. I started this Bible study with my church in the fall of 2008, but when I got my teaching job, I stopped going . I completed this this past summer, and kind of liked it. It was a good introduction to some other Bible study ladies, but I'm still a Beth Moore woman, through and through. 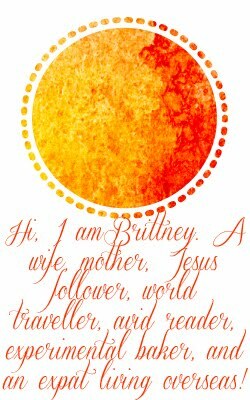 Beth Moore's living Proof Ministry (LPM Blog,) hosted this Bible study this summer, but I seriously fell off of the bandwagon (are you seeing a trend yet?) I picked this one back up right before Thanksgiving and am finishing it by Christmas Eve. I really enjoyed this one and would highly recommend it to anyone! Gave me alot to think about and really challenged myself. Well, this one was for one of my seminary classes, and is technically a textbook. But, I read it, cover to cover, and I really liked it! I would highly recommend it to anyone who is reading through the Bible as a reference tool. The chapters are short, concise, and well illustrated to give you ideas of what they are talking about! Yes, I read this one. Yes, I have baby fever. No, we aren't trying right now. So my grandma, aunts, and uncles can stop hyperventilating now. I just thought it would be good to have this info under my belt before we began on that journey. This book had a lot of great information and helped to dispel a lot of misconceptions. Not going to tell you the title on this one, for security purposes (remember we're moving to the Middle East,) but it was for my seminary class and was explicitly about our "job," so I'm guessing most of you can fill in the blank there, ha! When you come home, I have Return to the Hiding Place. I'm sure you can finish it quickly if you need one. Of course, you can read it anyway even if it's not for the 50 for the year. I'm working on finishing up Me, Myself, and Lies because I fell off the summer bandwagon too! Only 4 to go... You can do it! You can do it friend! You've got a couple weeks for four more books - that's do-able. Go girl!! So impressed, I know you will meet your goal!! I want to read every single one of these books!! Keep up the good work! I'll be cheering for you! Wow, you are very close to your goal! I picked up my Women of the Bible Devotional that I'd abandoned earlier this year. I didn't realize you were moving to the Middle East. I lived in Turkey.